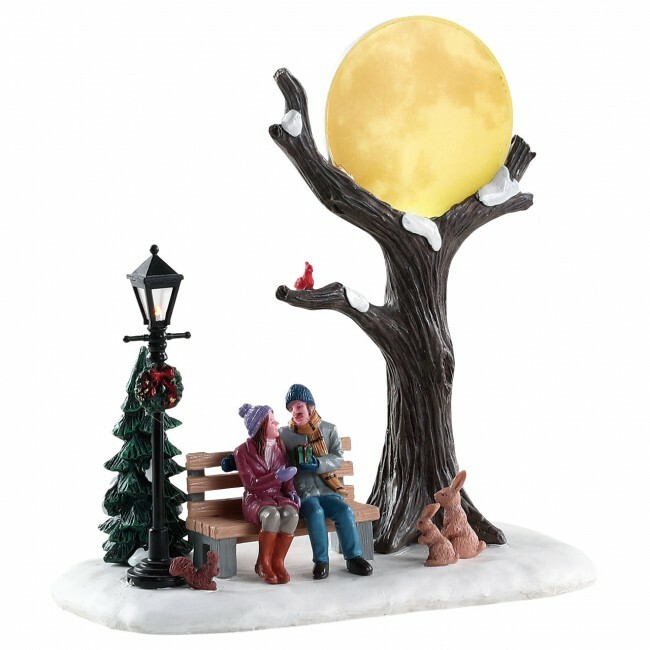 Lemax Christmas Moon B/O Table Accent depicts a romantic park bench Winter scene of a couple exchanging a Christmas gift under the moon glow. The snow is all around, as a pair of squirrels watch the romantic couple enjoying this wonderful moment. 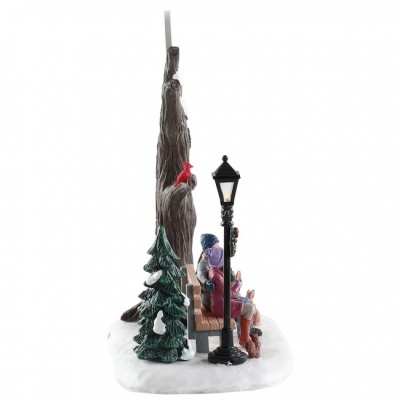 A delightful battery operated miniature scene from the Lemax Vail Village collectable range, which will compliment any miniature Christmas village display. 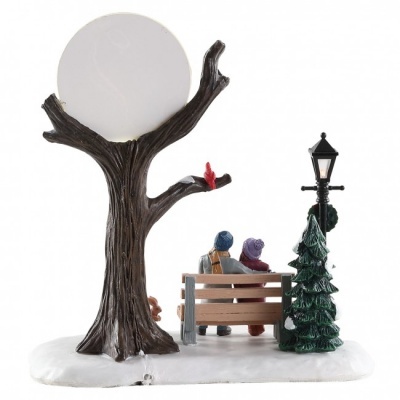 The traditional victorian street lamp and moon backdrop are illuminated, and the scene includes static trees, park bench and multiple figurines. 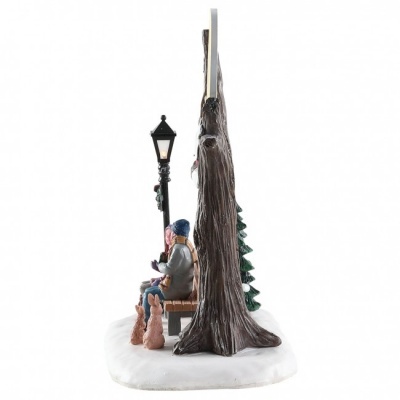 Battery operated as standard, powered by an internal battery unit (AC mains adaptable), the Christmas Moon table accent joined the Lemax Vail Village collection in 2018.